Alcohol can decrease the desired therapeutic effect of some prescription medications, increase the adverse effects of other drugs, and dramatically increase the risk of overdose and death. Mixing sleep aids and alcohol. Drinking while taking antidepressants or antipsychotics. Using marijuana and alcohol at the same time. Combining medications and over-the-counter drugs with alcohol. Treatment options for drug and alcohol abuse. Who Answers? to talk to a recovery support specialist about rehab programs in your area. Both benzodiazepines and Ambien are central nervous system depressants, which means that they slow down brain activity and breathing. Alcohol acts similarly to the prescription sedatives in depressing central nervous system activity. When two depressants are used together, the sedative effects are amplified. A person’s breathing can slow to dangerous levels and even stop. Benzodiazepines EffectsIncreased risk of overdose, extreme drowsiness, slurred speech, mood swings, stupor, coma, confusion, and memory and attention problems. Opioids EffectsIncreased risk of overdose, nausea, vomiting, impaired judgment, slurred speech, constipation, coma, unsteady gait, and stupor. Antidepressants EffectsIntense drowsiness and pathological intoxication, characterized by memory loss and lowered inhibitions. Stimulants EffectsIncreased risk of overdose, heart palpitations, stroke, seizures, sweating or chills, paranoia, chest pain, and involuntary muscle contractions. Marijuana EffectsRapid heart rate, impaired coordination, lethargy, problems with performing complex mental functions, social withdrawal, red eyes, sensation of slowed time, and slurred speech. Antibiotics EffectsNausea, vomiting, convulsions, decreased therapeutic effect, and increased intoxication. Nyquil and Robitussin EffectsVomiting, nausea, dizziness, coordination problems, slurred speech, and seizures. Energy drinks EffectsIncreased risk of overdose, drunk driving, and inappropriate sexual behaviors. Signs of an overdose include bluish lips, slowed breathing, tremors, and vomiting. Age and estimated weight of the person. Name and dose of medication, if known. Amount of alcohol consumed, if known. What time the substances were consumed. If the person is unconscious and you have been trained in first aid, move the person to the recovery position to prevent asphyxiation of vomit while waiting for medical professionals to arrive. Opioids, such as heroin, and prescription painkillers, such as oxycodone and Percocet, can cause profound respiratory depression. When alcohol is consumed with these drugs, the respiratory effects are exacerbated, and the risk of overdose greatly increases. Issues with attention or memory. Slowed or stopped heartbeat or breathing. If you suspect that someone has overdosed on opioids and alcohol, call 911 for medical assistance immediately. If you are trained in first aid, move the person into the recovery position so that he or she won’t choke if vomiting occurs. All of the aforementioned antidepressants are in a class of medications called selective serotonin reuptake inhibitors (SSRI). They work to manage serotonin levels in the brain. Serotonin is an important neurotransmitter responsible for regulating many different things, such as mood, appetite, sleep, and sexual functioning. Who Answers? anytime to speak with a treatment support representative about alcohol recovery centers near you. To intensify the high from cocaine. To reduce feelings of drunkenness. Perforated nasal septum, sinusitis, nose bleeds (intranasal users). HIV and hepatitis, track marks, collapsed veins, tuberculosis (intravenous users). Coughing, pneumonitis, bronchitis (users who smoke the drug). Effects include impaired judgment, memory problems, and sedation. Research has revealed that when any amount of alcohol is combined with marijuana, the user’s blood concentration level of THC, the main psychoactive component of cannabis, is higher than it would be with marijuana use alone. 28 This means that even a single drink can cause someone who has used marijuana to become more impaired, leading to greater risks to health and an increased risk of accidents. Issues with performing complex mental functions. Anyone who abuses alcohol, marijuana, or both should avoid getting behind the wheel of a car while under the influence. Many other medications, both prescription and over-the-counter, can have adverse interactions with alcohol. It’s important to be aware of how drinking alcohol can impact your body and the therapeutic effects of your medications. Dextromethorphan (DXM): This is the active cough suppressant ingredient in many over-the-counter cough and cold preparations, such as Nyquil and Robitussin DM. Some people abuse these drugs because they can produce psychoactive effects, especially when mixed with alcohol. 30 When taken in excess, DXM can lead to dizziness, nausea, vomiting, slurred speech, coordination problems, and seizures. 30 These effects will be exacerbated by alcohol consumption and could lead to overdose. Many people who abuse alcohol also abuse other drugs and vice versa. People who are regularly abusing multiple substances should seek help at a drug treatment center. Even if these people aren’t addicted yet, long-term abuse can lead to addiction down the line. It’s best if addiction or abuse is caught early to prevent further consequences. Detox centers: Before attending a recovery program, it may be necessary for you to attend a detoxification center, where you can safely eliminate alcohol and drugs from your body and receive care to alleviate potential withdrawal symptoms. Detox is not treatment, however, and you should find some type of recovery program after completing detox. Inpatient treatment: Inpatient treatment offers a high level of care in which you live at the facility for the duration of the recovery program. You receive a variety of services, such as an intake evaluation, individual therapy, group counseling, medical maintenance, and aftercare planning. Outpatient treatment: Outpatient treatment allows you to live at home while receiving addiction treatment. This option is ideal for those with less severe addictions since it is less intensive than inpatient treatment. 12-step programs: Fellowship programs, such as Narcotics Anonymous and Alcoholics Anonymous, are free to join. The only requirement is that you wish to get sober. These groups provide you with encouragement and support and also have a sponsorship program. Dual diagnosis treatment: Many people who abuse drugs and alcohol are struggling with some kind of mental health disorder, such as depression, anxiety, post-traumatic stress disorder, or a personality disorder. Dual diagnosis facilities focus on identifying and treating mental health disorders as well as substance use disorders. If you or someone you know is mixing alcohol with other drugs, call our helpline at 1-888-319-2606 Who Answers? to learn about recovery options. A representative can provide you with local programs and confirm your insurance coverage.
. University of Maryland Center for Substance Abuse Research (2013). Benzodiazepines.
. Food and Drug Administration (FDA). (2013). Medication Guide: Ambien.
. National Institute on Drug Abuse. (2014). What are CNS depressants?
. Substance Abuse and Mental Health Services Administration. (2013). Drug Abuse Warning Network, 2011: National Estimates of Drug-Related Emergency Department Visits.
. National Library of Medicine. (2015). Diazepam overdose. MedlinePlus Medical Encyclopedia.
. National Institute on Alcohol Abuse and Alcoholism. (2015). Alcohol Overdose: The Dangers of Drinking Too Much.
. National Institute on Drug Abuse. (2014). How do opioids affect the brain and body?
. Centers for Disease Control and Prevention. (2014). 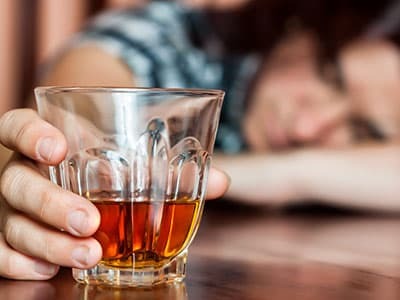 Alcohol Involvement in Opioid Pain Reliever and Benzodiazepine Drug Abuse-Related Emergency Department Visits and Drug-Related Deaths – United States, 2010.
. Substance Abuse and Mental Health Services Administration. (2016). Opioid Overdose.
. National Library of Medicine. (2014). Fluoxetine. MedlinePlus Drug Information.
. National Library of Medicine. (2014). Citalopram. MedlinePlus Drug Information.
. National Library of Medicine. (2014). Paroxetine. MedlinePlus Drug Information.
. National Library of Medicine. (2016). Escitalopram. MedlinePlus Drug Information.
. Herxheimer, A. and Menkes, D. (2011). Drinking alcohol during antidepressant treatment – a cause for concern? The Pharmaceutical Journal.
. National Library of Medicine. (2016). Aripiprazole. MedlinePlus Drug Information.
. National Library of Medicine. (2011). Chlorpromazine. MedlinePlus Drug Information.
. National Institute on Alcohol Abuse and Alcoholism. (1995). Alcohol-Medication Interactions. Alcohol Alert No. 27-1995.
. National Institute on Drug Abuse. (2013). Cocaine.
. National Institute on Drug Abuse. (2014). Methamphetamine.
. National Library of Medicine. (2016). Methylphenidate. MedlinePlus Drug Information.
. National Institute on Drug Abuse. (2014). Stimulant ADHD Medications: Methylphenidate and Amphetamines.
. Pennings, E., Leccese, A., & Wolff, F. (2002). Effects of concurrent use of alcohol and cocaine. Addiction, 97(7), 773-783.
. Wilson, L., Jeromin, J., Garvey, L., & Dorbandt, A. (2001). Cocaine, Ethanol, and Cocaethylene Cardiotoxity in an Animal Model of Cocaine and Ethanol Abuse. Academic Emergency Medicine, 8(3), 211-222.
. New Mexico State University. (2014).Other Drugs: Methamphetamine.
. University of Michigan University Health Service. (2016). The Effects of Combining Alcohol with Other Drugs.
. National Institute on Alcohol Abuse and Alcoholism. Alcohol’s Effects on the Body.
. Science Daily. (2015). Any dose of alcohol combined with cannabis significantly increases levels of THC in blood.
. Weathermon, R., & Crabb, D. W. (1999). Alcohol and Medication Interactions. Alcohol Research & Health, 23(1), 40-54.
. University of Maryland Center for Substance Abuse Research (2013). Dextromethorphan (DXM).
. California State University at Chico. (2016). Alcohol and Energy Drinks: A Dangerous Mix.
. Centers for Disease Control and Prevention. (2015). Fact Sheets – Caffeine and Alcohol.